So... I joined the SNP last Friday. Something I thought I would never do. I had to. After the Brexit vote, I felt it was my only option. The Scottish micro-left, so buoyant after Indyref1, committed hari-kiri last year and the microphone grabbers so reliant on their small group of followers, but so dismissive of their views, are making a dash for the stage again. Indyref 2 is on its way- and I have to help- even more than I did last time. I won't be a local "Yes" leader by way of my political party this time- but I'll be free to deliver whatever leaflets etc I feel will persuade those around me. I admire those who have decided to go back home to Labour to help the Corbanista fight. But I believe it is a fight that will ultimately drain energy and not help the place of Scotland in the EU or the world. Corbyn and his circle are British Unionists. I feel the Labour Party in Scotland, even with the extra bodies from the left joining it, will not be the power it once was and be able to influence the wider party into letting it set Scottish policy (ie Independence), and as a matter of fact, the power in the party north of the border will still be difficult to wrestle from the cold, dead hands of the twitching body of Blairism. 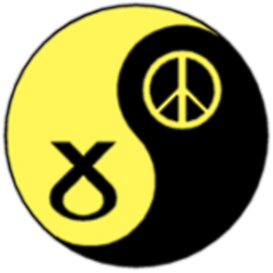 I am very much to the left of the main body of the SNP, but I feel there are enough of us to ensure we move the civic and national conversation to independence, the citizens/basic income, against nuclear weapons and power and extending children's rights. I believe at present, as a socialist, I must try to calmly influence those who feel change comes slow to recognise that revolutions such as that the Brexit can bring to the UK and Europe can happen not just in the lives of the elite power struggles, but setting aside the weak and factional "revolutionary" left, we can overturn years of inequity, lies, scapegoating and factional Tory power squabbles. I write this in a £2 million mansion on the hills outside Palma- rented for relative peanuts by a German couple who in their small way are changing the world by subletting to people seeking a different world. 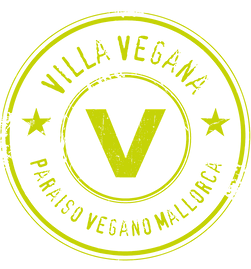 They host dinner parties every night with people from across Europe, eating freedom foods- vegan, sustainable and affordable- their ultimate goal to find someone to fund an Eco -vegan not for profit village. Speaking to small groups of people as they pass through the doors of Villa Vegana. The £2 million pound villa would be sitting empty, the owner unable to sell because of the financial crash in property- but wanting to hold on to ensure ultimately his investment pays off. Which could take years as Capitalism has crashed and could well burn in the coming years. 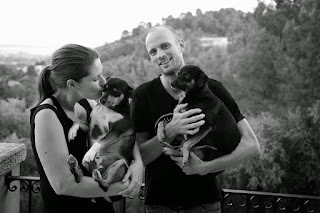 These wonderful people, Miriam and Jens, are patiently along with friends who lend a hand in cooking, cleaning, conversing and being the change they want to see in the world, creating a new world. Around the table this week we have agreed and disagreed with Germans, Italians, Swiss, Americans, Austrians... Yet all of them want a better world. A kinder world- a more equal world. And all of them-us- have the starting point of animal welfare. From that our conversations went to the Citizens income, a better Europe, the chastising of children, education and the Antithesis of poetic, media word warping elites of Berlusconi, Murdoch, the London/Westminster/Banker elites etc... And we found other points to agree on. All here in a millionaires mansion- none of us millionaires (nurses, teachers, tattooists, cameramen, shop assistants, doctors, artists, factory workers...) but all with our starting points of different experiences; none negating the other, all loving the food and the agreeable company and the wish for a better world. And all totally gobsmacked at the idiocy of the Brexiteers who voted to isolate us from the world of discussion, agreement to disagree and synthesis. We met Podemos people in a polling station. They were full of hope. They were, unlike those in control of my old party (the SSP) and my new party- confident that the Citizens income at a "good" level, could free people. They were confident that overturning the PP (Tories) will happen soon. They were confident another world -another Europe- is possible. And my experience of Podemos as a REAL alliance was not of the false demarcations of power in Rise/SSP, but as the alliance for change the SNP is- faulty and imperfect as it is. And certainly not a party like the struggle between the dying "New Labour" Neo-liberal project and the less shrill, power to the people's front of Corbyn/McDonnell. Nicola Sturgeon, Jeremy Corbyn, Patrick Harvie and others can change some of the conditions on which we can build- with our help. But we must create our calm, equal, accepting, ecological, loving new world by what we do. The politics of old should not be allowed to return. We didn't create a new world by ignoring the fact that power still remained with the rich. We ignored who controlled the media for too long and we allowed the conditions that ensure those born with more privileges can prosper while those born into struggle, remain struggling- boxed in to a world of violence, insecurity, health inequality and poverty of both body and soul. Poverty of needs and experiences and beauty. Bread and Roses is what we struggled for in the early days of our movement. Our movement then decided to struggle amongst itself for the last word. Scotland needs the SNP, the Greens, Corbyn's Labour, the SSP and it needs a place we can set down our swords outside and honestly debate, discuss and agree to disagree. Do I urge you to join the SNP? No. But I urge people to join the conversation outside the false parameters of the press and media. The skeletal rotting corpse of lies, deceit and false flags should be stabbed with a stake fashioned from logic, love and a bright future. Do I think the SNP will change Scotland? Yes. Do I think it will do it alone? No. Do I agree with everything the SNP have in their manifesto? Certainly not- but I am going to discuss and argue and listen. The synthesis may not be my full programme-- but ultimately we will have the mansion and ultimately at the table will be sitting voices who agree, disagree, persuade and enjoy equity with all who want the best for their children and the world. The beauty, love and damned hard work of Miriam and Jens here in Villa Vegana is inspirational. No one sitting around the table, prepared with care and thought for everything it has touched- from the producer, to the body and bodies of people eating, laughing, debating and not always agreeing- no one- will walk away unchanged. A world as beautiful, accepting and as fair as this is possible. The ecological, organic, equitable seeds can be sown in Scotland as they are here in a very divided Spain (and Mallorca). Brexit, though awful for all, can be the beginning of the end of inequality in the UK. Scotland can work with the others around the table and welcome England and others back when they have rid themselves of the divisive, elitist, racist, destructive power of capital. Will my new party, the SNP do that alone? No. The table is extendable and has enough for everyone to enjoy and prosper.